Italy is the country with the highest number of UNESCO World Heritage Sites in the world. 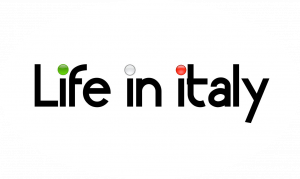 Here at Lifeinitaly, we have often dedicated articles to them, giving an overview of UNESCO sites in the North, the Centre and the South of the country, as well as dedicated articles to some of the most famous among them, such as the Archaeological area of Pompeii and Hercolaneum, the Savoia Palaces and many more. Since July 2015, a new Italian jewel has entered the list: the breathtaking architectural complex of Arabic and Norman origins of Palermo, along with the Cathedrals of Monreale and Cefalù. 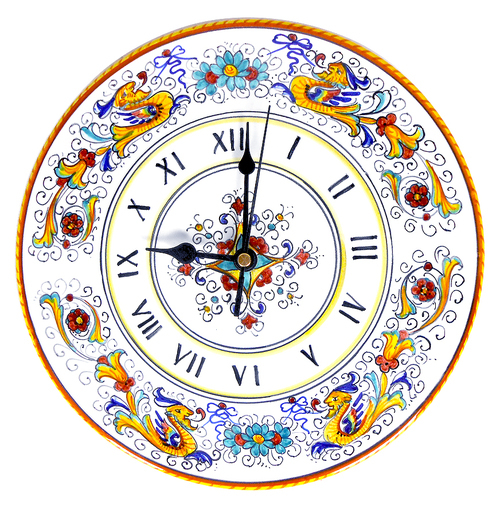 For those who have been to Sicily and know these precious architectural and artistic masterpieces, the news came as no surprise: very little in the world can leave you with the sense of awe and wander of the Cappella Palatina, the Church of Santa Maria dell’Ammiraglio or the gold-laden cathedral of Monreale. To honor – and present to those of you who have not had the opportunity to see them, yet – these incomparable Italian treasure, we decided to dedicate a short introduction to the sites, along with some photos portraying their beauty. Come to see them soon! There is no place in Italy as historically multi-cultural as Sicily: since the very beginning of our history, Sicily has been a land of riches and beauty, desired by conquerors for the fertility of its soil and the clearness of its seas, as well as the strategic relevance of its location, right in the centre of the Mediterranean. Many of the vestiges left on this unique island by those who inhabited it throughout the centuries are already part of the UNESCO World Heritage Sites list: Agrigento and the Valle dei Templi, the Baroque towns of the Val di Noto, the Aeolian Islands and Mount Etna. Palermo was not part of it, yet, in spite of being one of the most beautiful cities in the country. Palermo has, in itself, all the contradictions characteristic of the island: it is beautiful to the point of pain, yet, it is somehow, in many areas, abandoned to itself, neglected, poor. Palermo is Italian to its bones, but before that, it is Sicilian: it has the scents and the colors of the Mediterranean, it has open air markets where locals shout at vendors and vendors shout at you while you walk by, surrounded by pungent smells of fish and spices. It is beautiful and alive and absolutely mesmerizing. Palermo wears its history on its sleeve, and this is where the Arab and Norman heritage of the area enters the picture. After the final crumbling of the Western Roman Empire in 476 AD, Sicily – hence Palermo – passed under the control of the Goths, then the Byzantines. In the middle of the 9th century the Arabs invaded the island at Mazara and, within 100 years, Sicily was entirely theirs. The Arabs influenced the island profoundly in its cuisine, its dialect, its tastes and, relevantly for us here, in its architecture, vestiges of which we can find not only in Palermo, but also at Caccamo, Cefalà Diana, Favara. What is exactly the Arab-Norman Palermo, then? Some, such as the Church of San Cataldo and that of San Giovanni degli Eremiti are quintessentially Arab in their look. Others, such as the Cappella Palatina, are mirror to entirely Norman aesthetics. The majority of them, however, bring beautiful examples of both Arab and Norman art in their architecture and decoration: this amazingly rich and unique melange is, for instance, well visible in the exterior of Palermo Cathedral. Palermo Cathedral is one of the sites part of the Arab-Norman heritage of the city. It was William II of Altavilla, king of Sicily from 1166 to 1189 to begin the construction of what is today known as the Cathedral of Santa Maria Nuova, in Monreale, near Palermo. With its Norman-Arab exterior and its beautiful Byzantine-inspired gold mosaics interior, the cathedral is among the most beautiful sites on the island. Baroque influences can be discerned in its exterior architecture, too, especially in the colonnade protecting its main entrance. 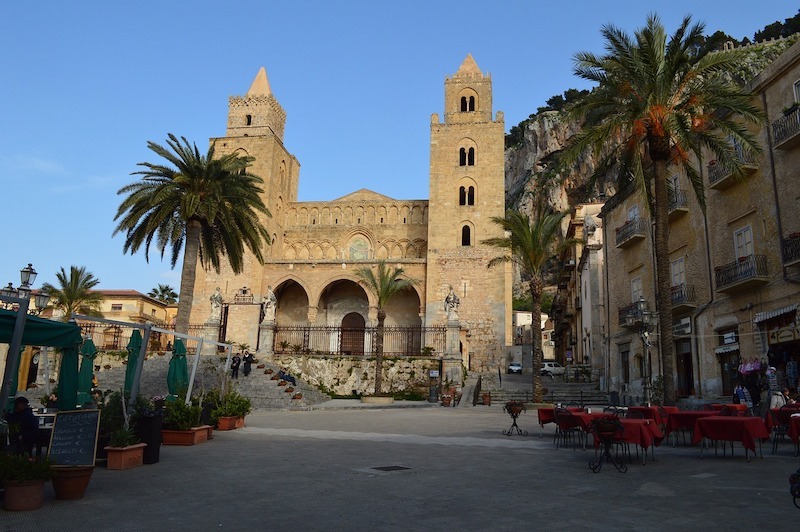 Cefalù is a beautiful town on the Tyrrhenian coast not far from Palermo. Works on its cathedral began in 1131, under the patronage of Roger II of Sicily, who was to choose it as place of burial for himself and his wife. 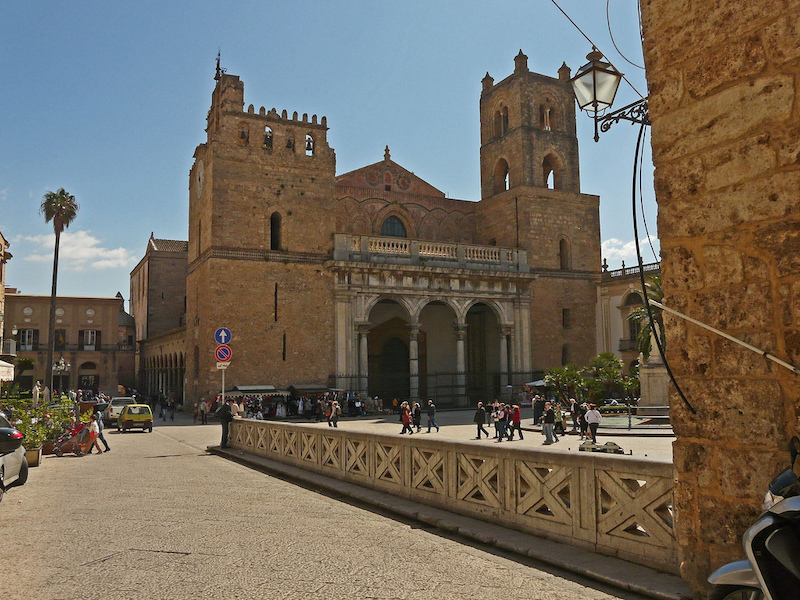 Even if, eventually, the royal couple’s sarcofagi were moved to Palermo by Frederick II, the Cathedral never lost its Norman relevance and appeal. The church we still see today is, apparently, very different to the original project, and several sections of it were eventually completed in later times (a feat not particularly uncommon when it comes to large architectural buildings of those ages). 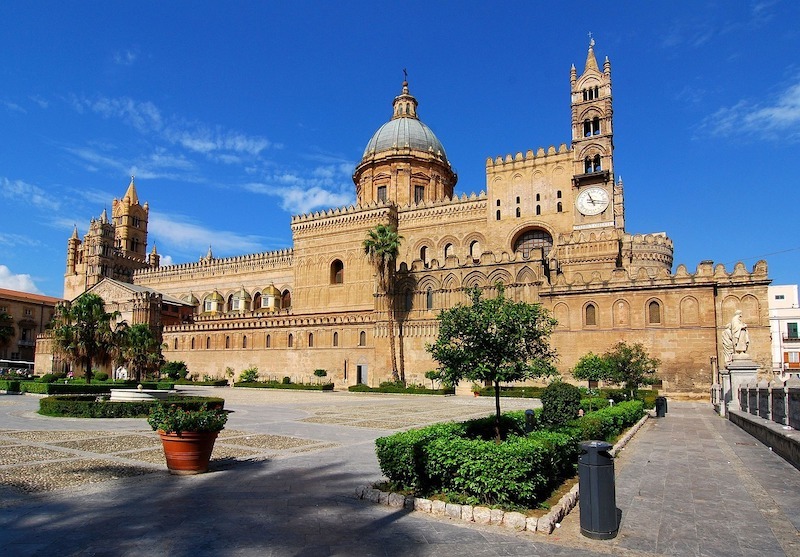 If you are planning a visit to Sicily, you should include the Arab-Norman itinerary in Palermo and the cathedrals of Monreale and Cefalù as part of your tour: not simply because they are now a UNESCO protected site, but because of their immense beauty. There is something profoundly touching, spiritual and somehow moving in the beauty of art: those who believe in God, say it draws us close to Him; those who do not simply see in it the most wondrous of all mirrors to the greatness of Mankind.